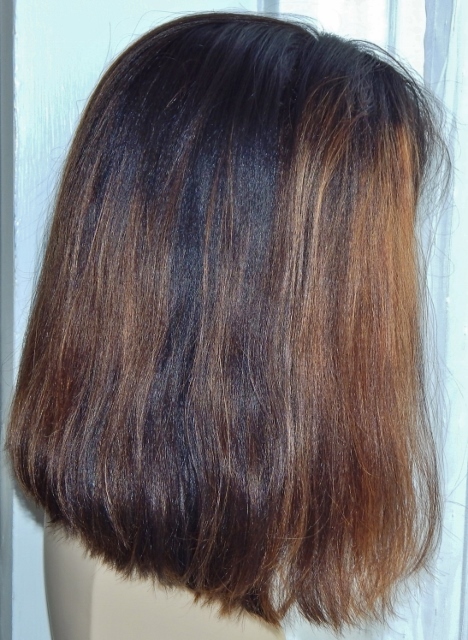 Colour: #2 -4, dark brown with honey blonde tones. 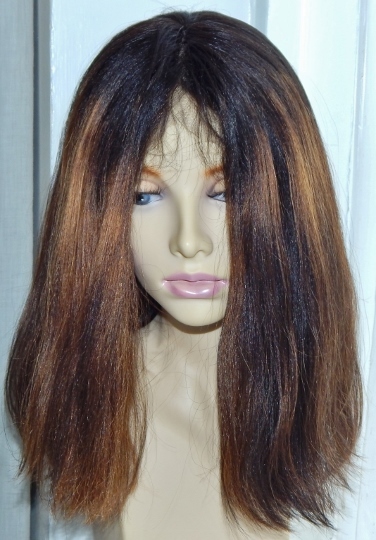 The Simmi Straight Micro-crimped look is another stylish and chic wig. 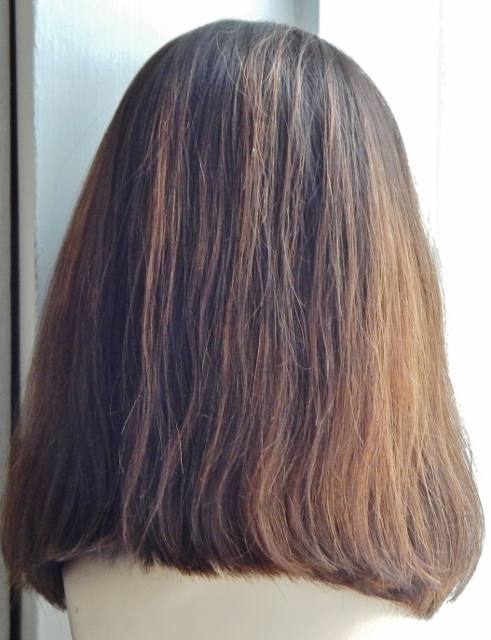 The micro crimping is exceptionally subtle so definitely not like the crimped hair fad from the 1980s. 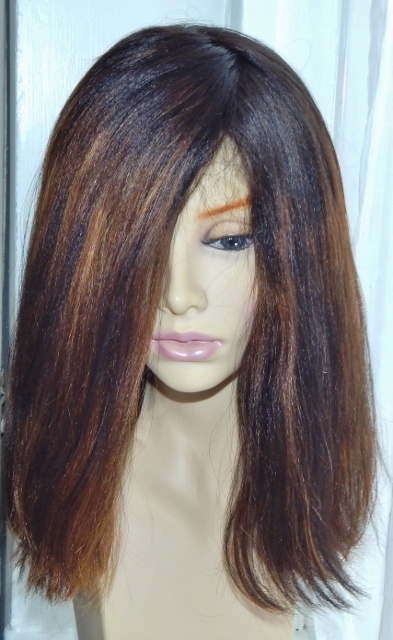 As it's made of Remy human hair, it can be heat styled to be silky straight. 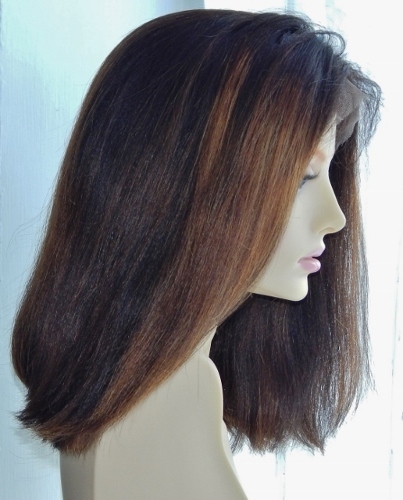 The length of this bob means it's great for oval, square, heart and round shaped faces. 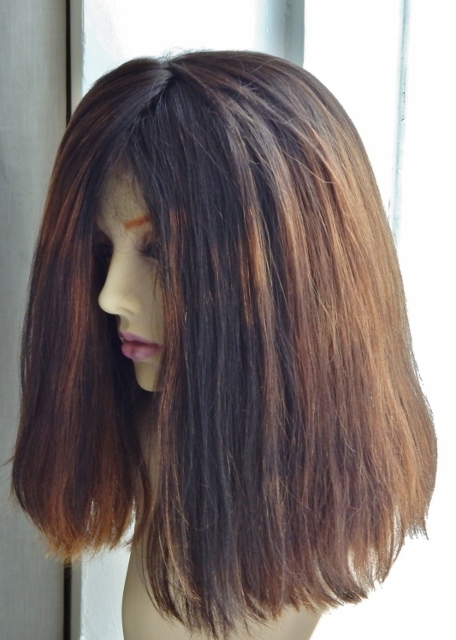 This was a custom item and cannot be repeated exactly - the client wanted a choppy look to the bob and sun-kissed look for the highlights.